Quetone Records have been creating a special sound, a sound that is all Quetone since 2000. The 1st release from the label was a compilation album entitled "Messiah Fam" put together to introduce all of the Quetone artists to the world. 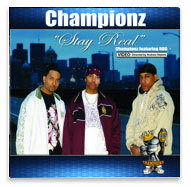 This release was met with massive underground success and created a stir in the local music communities. The followup release was an album called " the Codefendants ", with members Cash and Don P, the release a critical and commercial success. Their debut album ‘Book Ov Life’ , produced by Quetone Records CEO, Quion is constantly being requested at local clubs and radio stations to this day. Quetone identiied that the label had a winning formula and the ability to produce commercially appealing music that sells. What followed from here was two solo albums from Quion called "Reflections" and “Serious.” . These albums are available at all leading digital retailers on the planet. Quetone Records has been able to manufacture, market and "pop the trunk " and sell more than 50,000 units over the past 2 years. An amazing undeground success that has now lead to the development of the labels roter of artists and non stop demand for Quions recording services. Quion is the founder and CEO of QUETONE MUSIC and QUETONE RECORDS. With music as his passion and life, Quion has built a global network or partnerships within the music industry that allow him to provide a totally unique and highly regarded service. He has shared the stage with many of the leaders in the Urban Music Communities and has built the company from the ground up labouring over each and every brick in the companies virtual production office. Quetone continues to develop a strong and loyal fan base in the New England area and surrounding states. With his good friend and business partner Joseph O'Grady by his side Quetone's future is assured. Quion believes in the Q principle in business. Quality not Quantity. For more information on Quion you can watch this site and all the latest news postings. Joseph O'Grady is a highly successful entertainment promoter and club owner. Joe was born into the entertainment world and has the entertainment DNA that goes back over 100 years. His family are part of the Boston historical society for being the best entertainers throughout the 30's to the 70's. In all seriousness, Joe is one extremely successful entrepreneur. Seeing that Quetone could become more than just a studio that developed artists, Joe has worked with Quion to build one of Boston's rapidly emerging A list production teams and recording facilities. Joe is an accomplished boxer, sportsman and is passionate about snow boarding, music and extreme sports. Joe believes that you need to always being moving and be ready to adapt to any situation that life throws your way. With strength and determination along with integrity and honesty as the 4 corner stone building blocks to his business DNA, Joe brings a level of experience in running and building successful businesses to Quetone Records team. We are honoured to have Joe on the team. Kieran Wicks has been at the forefront of the print and broadcast media, both locally and nationally for the past decade. A leader in his field, Kieran has excelled in all manner of media production, doing everything from working for Triple J and Austero, to community radio, creating documentaries and helping conceive and run award winning street press publications. Kieran also has extensive event management experience working with some of the country's largest promoters and festivals as a project director with the Lovelorn Living Party, a boutique theatre company, booking agency and event management company, specialising in creating unique events limited only by the imagination. In 2009 he took a colourful cast and crew of 120 kooky boho 'freaks' to the Peat's Ridge Festival, where they performed Goldie Feather's glorious Boho-glam, love-revolution rock opera in the infamous Bohemian Love Theatre. Kieran knows what's it's like to be in the trenches of the industry, because he lives and breathes it every day. A songwriter and performer at heart, the enigmatic front man and his supergroup are set to head into the studio early next year. A prog-rock tragic at heart, Kieran heads up our Australian business development division and has a 'dark' penchant for music's heavier side, bands whom he regards as music's 'intelligentsia'. Lawrence was raised in Hunter's point community of San Francisco. He has an affinity to the community. From professional athlete, to entrepreneur, Lawrence has achieved personal and business success. A graduate of Gonzaga University, Lawrence has over seventeen years experience in the film industry. His professional experience embodies a diversity of positions; director, producer, casting agent, actor, and personal assistant to actors Danny Glover and Mykiliti Willamson one the principal actors on the acclaimed NBC television show “Boomtown”. He has worked on over thirty independent film, music video and television projects including "Midnight Caller" and “The New WKRP in Cincinnati". Lawrence has worked on feature films including the TNT production of "Buffalo Soldiers" and "Species II". For three years, he was executive producer, director, and writer for “Sports Fan Rap” a local television sport show, which aired on cable channel 32. On the sports show, he interviewed famous professional athletes like Mark McGuire, Barry bonds, Venus Williams and Steve Young. He has extensive experience in Information Technology (IT) roles for mobile and Internet-based telecommunications companies, software development, web hosting, web design, retail & wholesale “brick and mortar” and virtual sales outlets; plus computer design, manufacture, distribution, training, services and support. Jon’s IT strong background coupled with multiple senior management positions in the entertainment, hospitality, education, customer services and medical fields brings unsurpassed business wisdom to the Blue Pie, Magic Blue Creative, Ordior and MP4 Player teams. Prior to his current activities, Jon was CEO of Veracicom, Inc., a $20+ million, multiple location company providing cutting-edge IT solutions to international clients using multiple data centres, server-based computing systems and distributed databases. These sophisticated systems were connected by high-speed networks, data encryption and subscription based sales and support systems. With over 30 years of IT & Music industry experience, Damien brings his vast network and business skills to the table to expand and grow Concerthouse Music's roster of artists and labels globally. Damien’s specialist skill is the ability to integrate practical internet based communication systems into businesses and develop new markets. Damien draws on his vast musical knowledge and experience to create leverage for Concerthouse Music and the companies partners. His diverse and far reaching global networks in technology provide Concerthouse Music with a market leading edge in web based communication systems, major label relationship management and digital business development tools. Damien is an accomplished musician, composer and producer with numerous international recording credits to his name and top 40 chart achievements. The company is enjoying global recognition with Damien leading his team with successful licenses, chart positions and sales of the Blue Pie catalogue in Australia, USA, Canada, Europe and Asia.